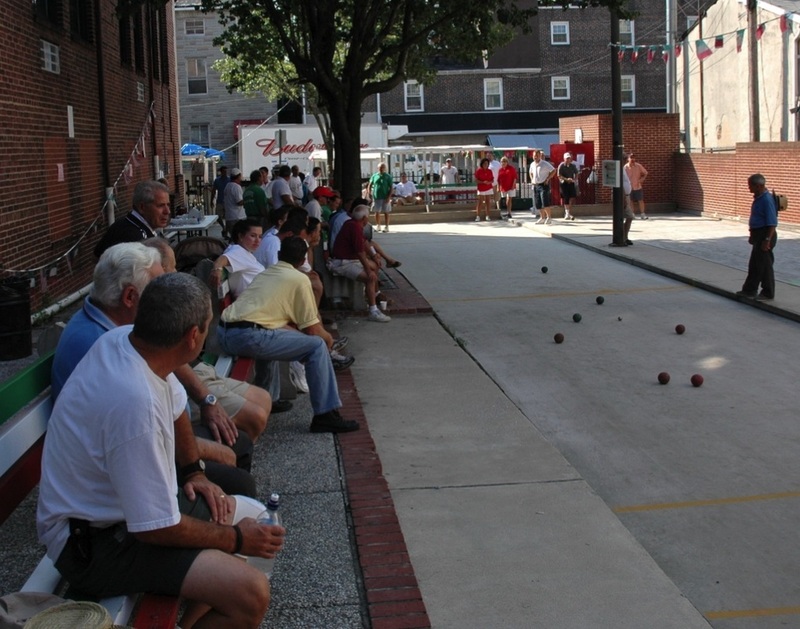 The bocce court in Little Italy is a popular place to be during warmer months, and often an intriguing sight for visitors as they stroll by. The courts are open to the public (balls not provided) and spectator benches are available, as well as a restroom and water fountain. Many residents of the neighborhood - and those who grew up there - among other players, enjoy league play between May and September. The courts are most active on Tuesday, Wednesday and Thursday evenings as teams on two leagues compete with each other in this popular backyard Italian sport. 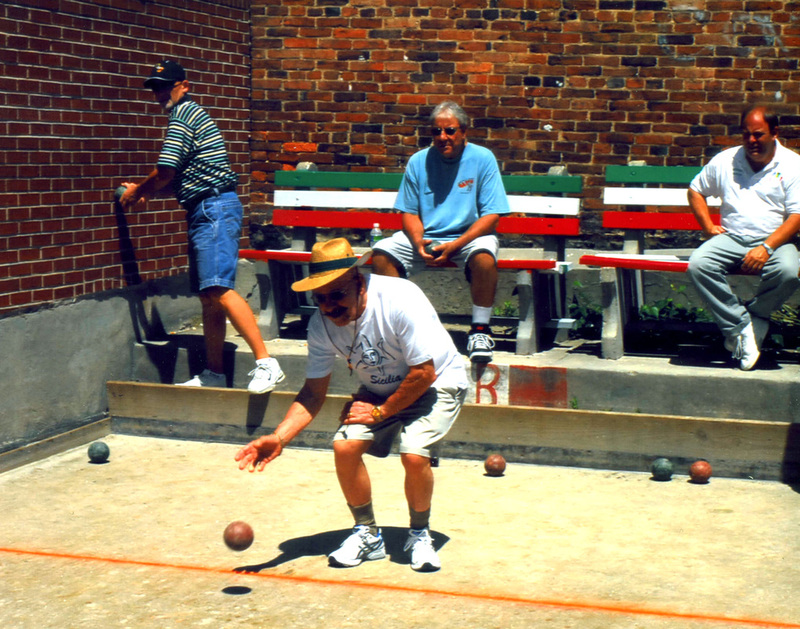 As well, bocce tournaments are held during St. Leo's two summer Italian festivals and during the Columbus Day Commemoration in October. This league also hosts the Saint Gabriel Festival Bocce Tournament in August. A portion of team entry fees are donated to St. Leo's Church. This league also hosts the Saint Anthony Festival Bocce Tournament in June. A portion of team entry fees are donated to St. Leo's Church.